The Merlin is a small falcon distributed throughout the Northern Hemisphere. It is a fast and agile bird that commonly hunts by flying low and surprising its prey. It is also an able aerial predator, often grabbing small to mid-sized birds in flight. 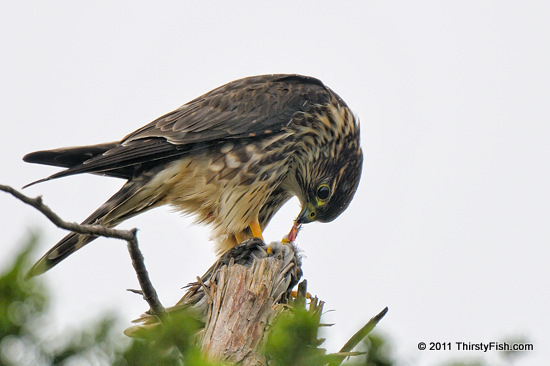 Although the Merlin may be preyed on by larger birds of prey, it is generally avoided due to its aggressiveness and agility. Merlin's were popular birds for falconry during the middle ages. Falconry was probably introduced to Europe in the 5th Century by the Huns.